César Chávez students lining up at their new Rx for Reading Library. The Lorax Library was sponsored by a generous donor in honor of Sara Zawacki Gifford, former Rx for Reading Student Coordinator, and her husband Joe Gifford. The library was painted by Paige Fairchild, a student in the University of Detroit Mercy College of Business Administration. César Chávez students help organize the library. César Chávez Academy is a public charter school in Southwest Detroit. 74% of its students are English language learners. Rx for Reading also sponsored the school’s celebration of El día de los niños / El día de los libros (Children’s Day/Book Day), providing a brand new book for every one of the school’s 455 kindergarten, 1st, and 2nd graders. Two Detroit Mercy alums, Marco Ineguez-Vera (BSN-Nursing) and Ana Barajas (Honors Biology), read to students at the event. Detroit Mercy alumna Ana Barajas reading to students at the school’s Día celebration. Thank you, César Chávez, for giving the Lorax Library the perfect home! Rx for Reading has reached another memorable milestone! Since September 2014, we have distributed over 75,000 books to thousands of kids and families in our community. We couldn’t have done it without our incredible community partners, organizations that work every day to support families and empower children in Detroit, Hamtramck, and Highland Park. Rx for Reading Free Library at the Detroit Public Library Parkman Branch. We also could not have reached this goal without our many supporters and donors. As the number of families we serve has grown, so has our need for books and financial donations. During the spring and summer of 2017, over 20 different organizations and schools ran book drives for Rx for Reading. 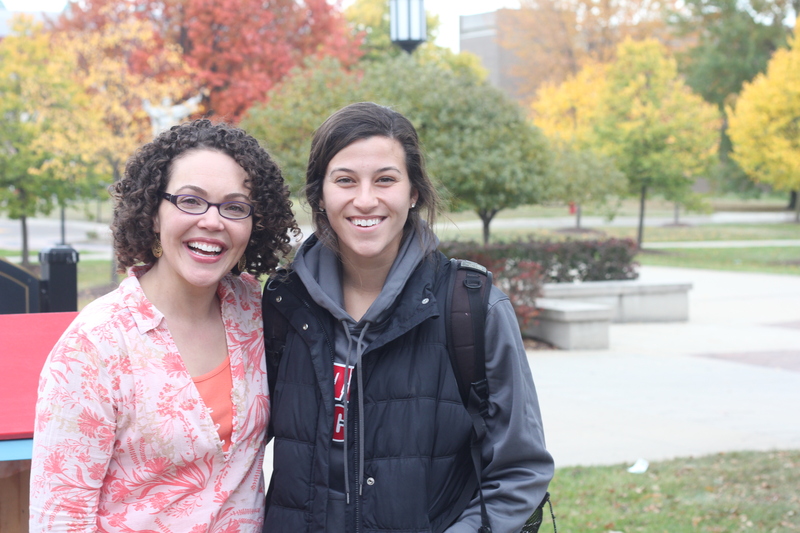 Book drives were held as close as the University of Detroit Mercy campus to as far away as Grand Junction, Colorado! Together these donors contributed over 10,000 books to help support literacy for all children. Two of our youngest book drive organizers! Some of the books that found new homes and families this summer. Rx for Reading at Shekinah Tabernacle! One of the guiding principles of Rx for Reading is that reading happens everywhere. 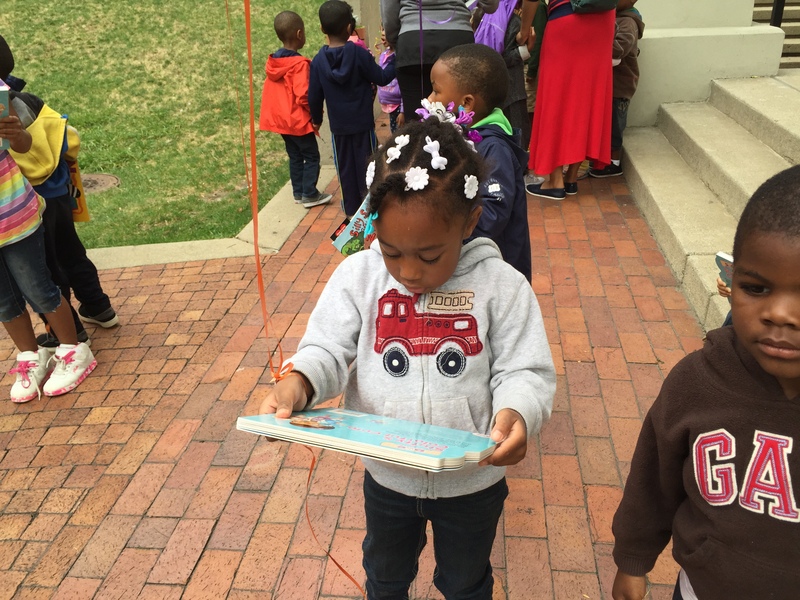 We work to put books anywhere they can get in the hands and hearts of children in Detroit. Our latest “home” for reading is the Shekinah Tabernacle Gospel Church at 16900 West Chicago. Shekinah Tabernacle offers a broad range of programming for children in their congregation and the surrounding community. Thank you to the Shekinah family and to Pastor Reggie Huff and his wife Linda Huff for inviting the latest Rx for Reading Library into their church community. Just look at these happy readers!!! 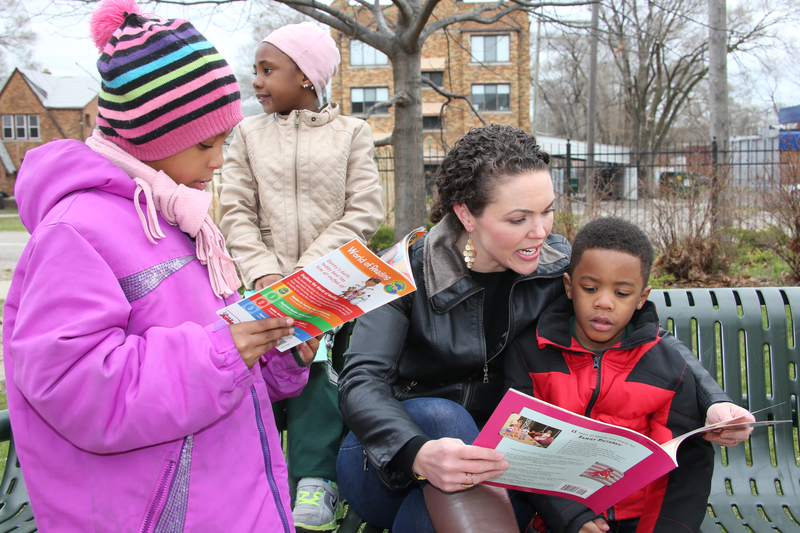 This holiday season, there is a whole lot of reading going on across Detroit! 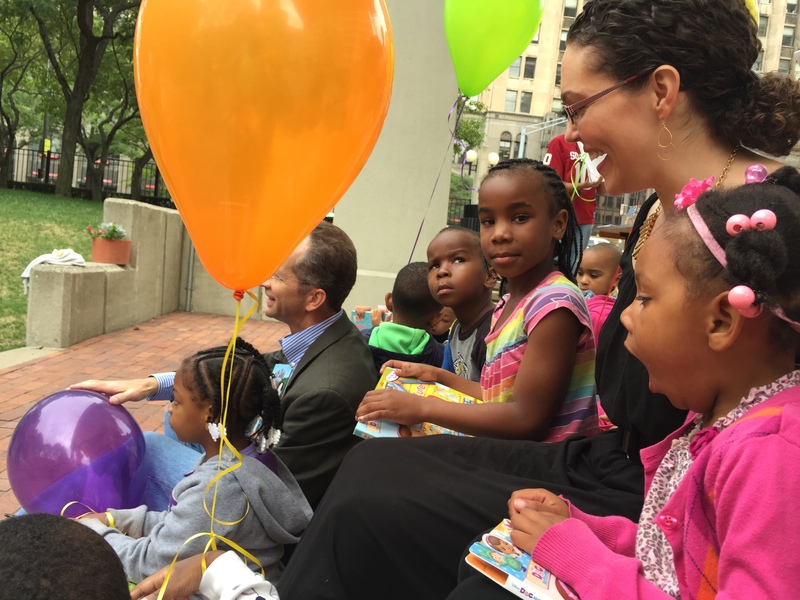 In 2015, Rx for Reading distributed 20,000 books to babies, toddlers, kids, and teens in our community. At our 18 Rx for Reading Clinic Libraries, children at health, dental, and WIC clinics choose a book to take home at every visit. At our 3 Head Start partners, preschoolers read with UDM college students and choose a new book to take home every two weeks. 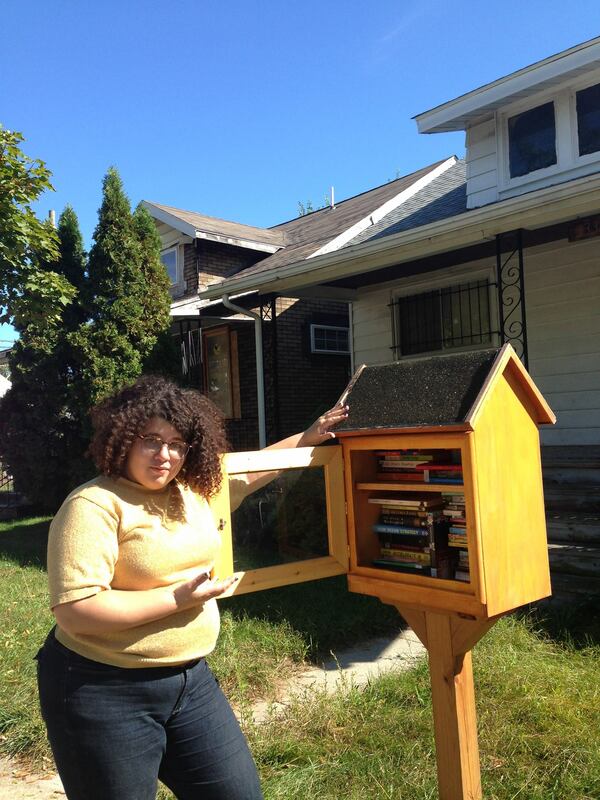 And this fall, we expanded our Little Free Library Initiative by installing 12 Rx for Reading Little Free Libraries in community organizations across Detroit. 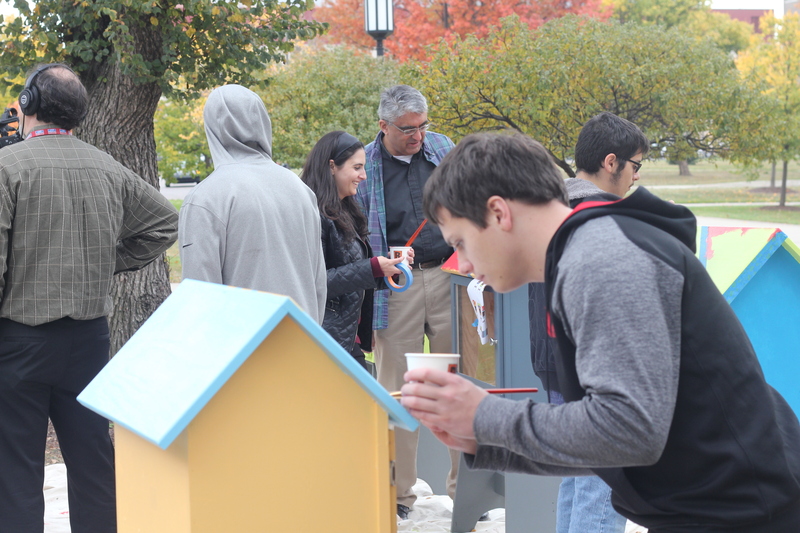 The Rx for Reading Little Free Library Initiative helps integrate literacy into the work of community organizations already serving children, teens, and families in our community. Each library is delivered to its new home along with a collection of 250 books, and everyone visiting the libraries is invited to choose a book to read and take home. We could not be more proud to partner with these incredible organizations: St. Christine’s Soup Kitchen, LA SED (Latin Americans for Social and Economic Development), Capuchin Services Center, Cabrini Clinic, COTS Detroit, Detroit Center for Family Advocacy, Covenant House, Butzel Family Center, Don Bosco Hall Community Resource Center, Leland Baptist Church, and Spectrum Health’s Lincoln and Calumet Residential Treatment Facilities. Rx for Reading Clinic Libraries and Little Free Libraries create community spaces that celebrate reading and allow thousands of children to choose books to read, love, and keep. Rx for Reading at Calumet Residential Treatment Facility. We are so grateful to each and every one of the generous donors and volunteers who made our work possible this year. Hundreds of individuals gave their time, money, expertise, and books. Thank you for giving the gift of reading to Detroit’s next generation of readers and leaders. 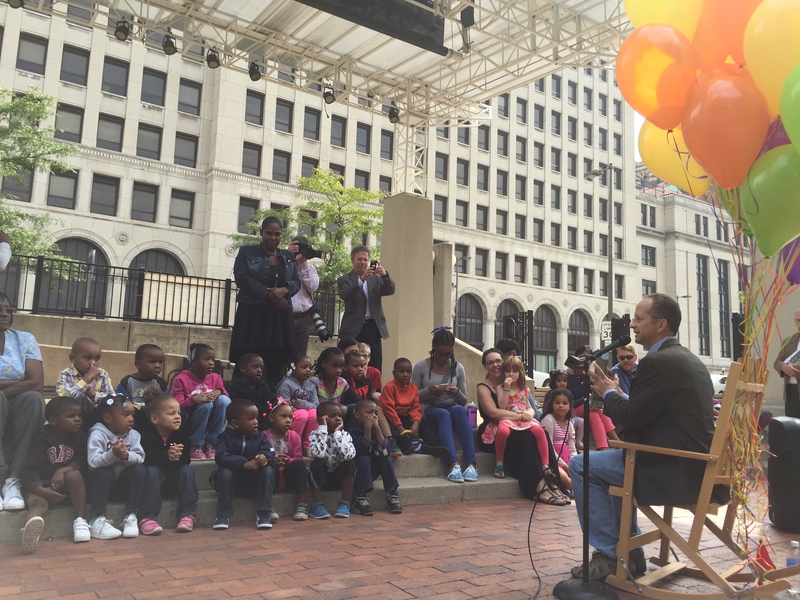 RX for Reading Detroit was thrilled to be part of an end-of-summer celebration of reading at New Center Park in Detroit. 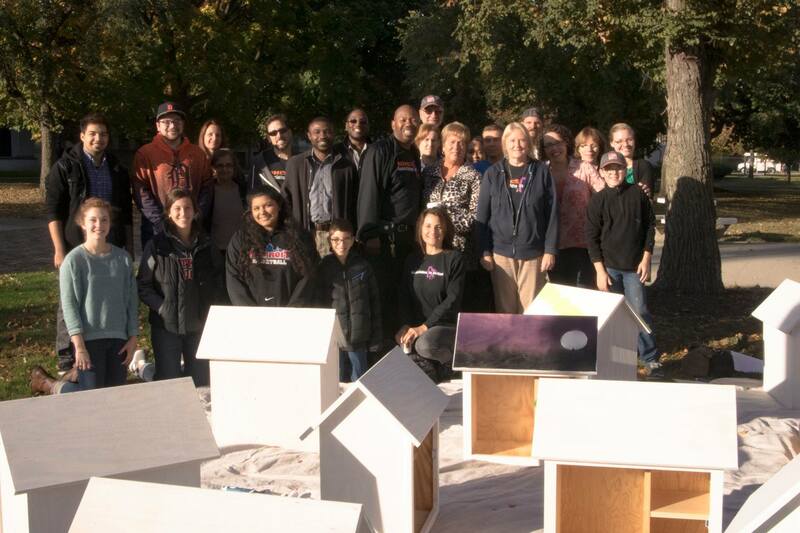 Organized by one of our community partners, Detroit Little Libraries, the event included a public build of Little Free Libraries and a special recognition of Detroit as the fastest growing community of Little Free Libraries in the country. The award was presented to Aliyah Sabree, the Mayor’s Liason to City Council, by Todd Bol, founder of the international Little Free Library movement. 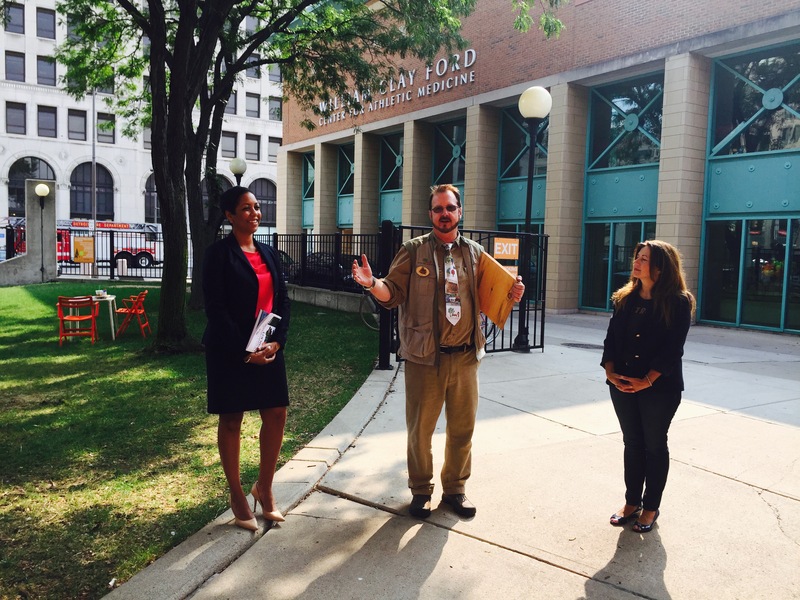 Aliyah Sabree of the Mayor’s Office, Todd Bol of Little Free Libraries, and Kim Kozlowski of Detroit Little Libraries. 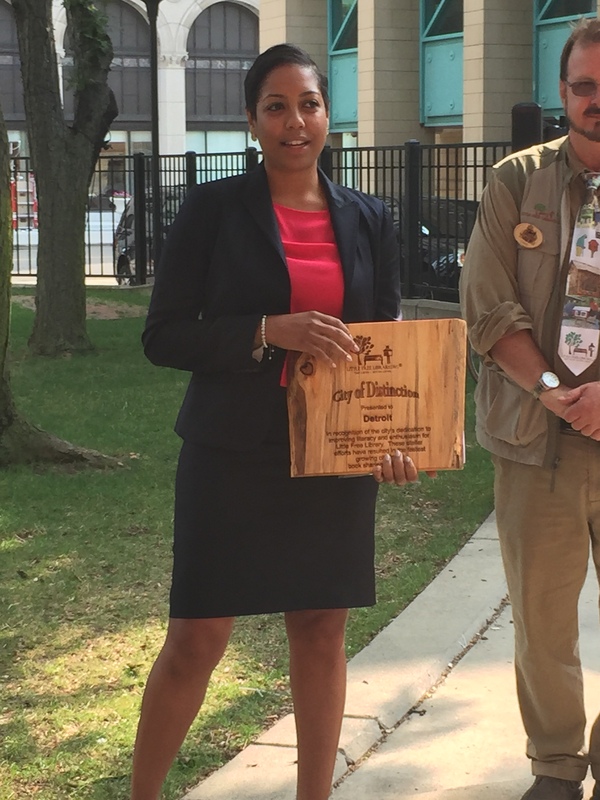 Ms. Aliyah Sabree, the Mayor’s Liason to the City Council, accepts the award on behalf of the city. RX for Reading invited two local preschools to be part of the story hour festivities, which featured Paul Murphy, head speech writer for GM. 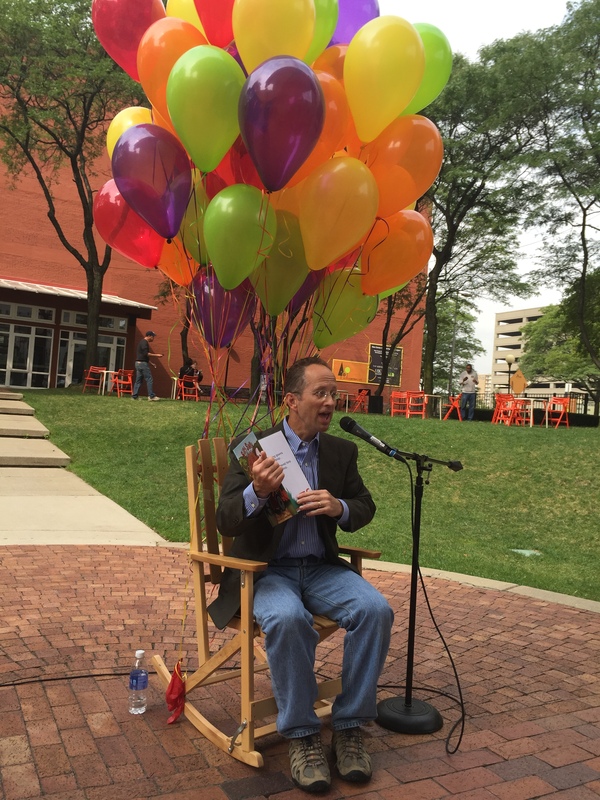 Paul read the wonderful book “Silly Sally Goes to the Zoo,” written by his late wife Sally Laux Murphy. The book follows Sally, a young girl in a wheelchair, as she meets all the animals–from A to Z–at a crazy, mixed up zoo. The kids loved Sally and her animal adventures. RX for Reading Director Mary-Catherine Harrison chats with some of the kids. All of the children who attended the event chose a new book to take home from RX for Reading, and each of the preschools received a collection of books for their classroom. 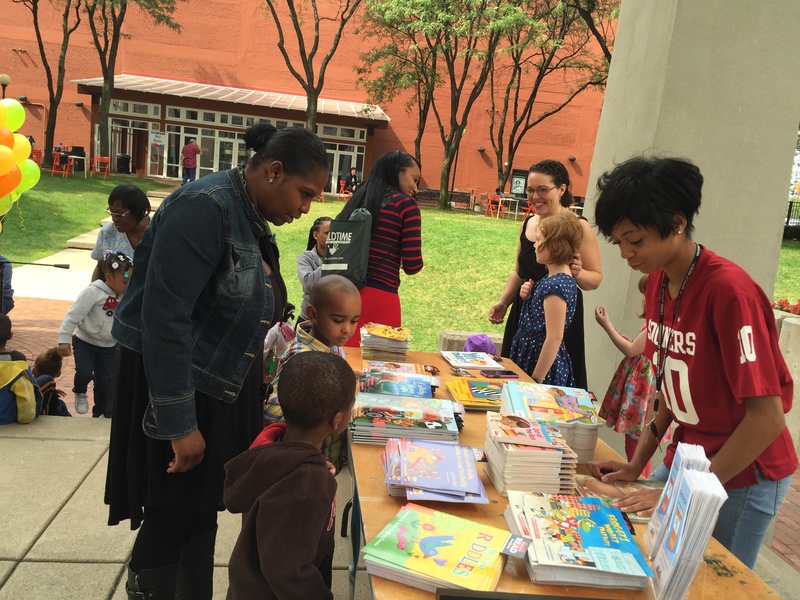 RX for Reading volunteer and UDM undergraduate Renesha Smoot Grafton helping kids pick out their books. Another happy reader–with Doc McStuffins! One of our goals at RX for Reading Detroit is to help grow a culture of reading. 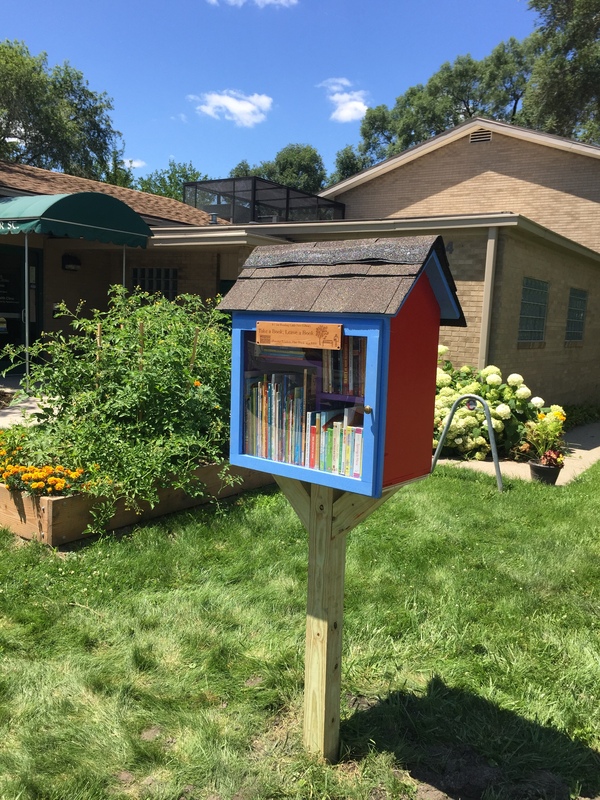 That goal is perfectly aligned with the international Little Free Library movement, which aims to “plant” tiny libraries in public spaces across the globe–in parks, on streetcorners, by schools and bus stops. 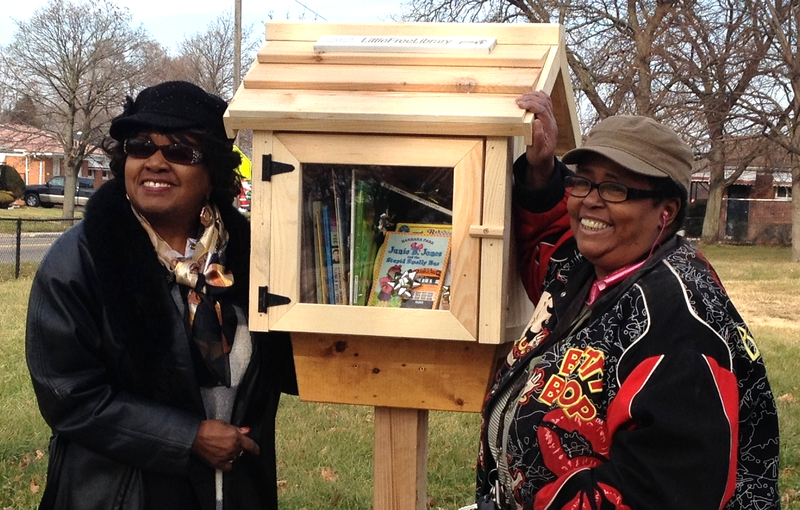 Detroit Little Libraries is working to make our city the Little Free Library Capital of the World. 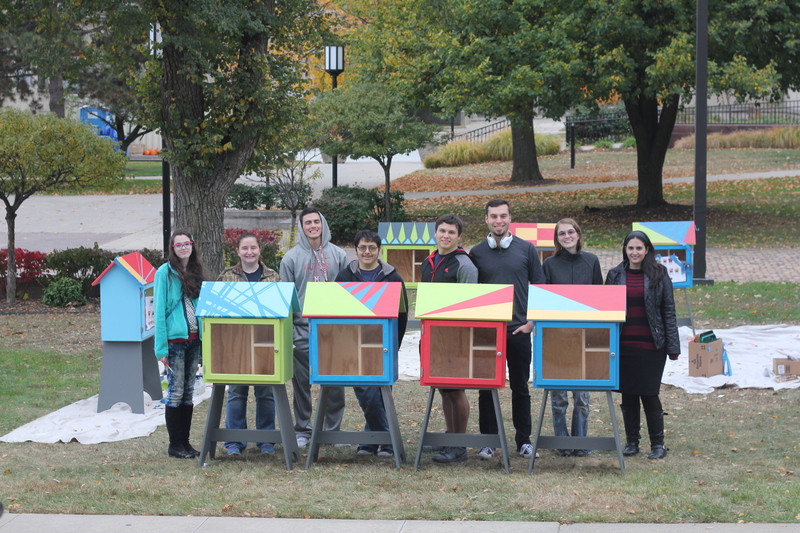 Their ambitious goal: plant 313 of these bird houses for books in Detroit. 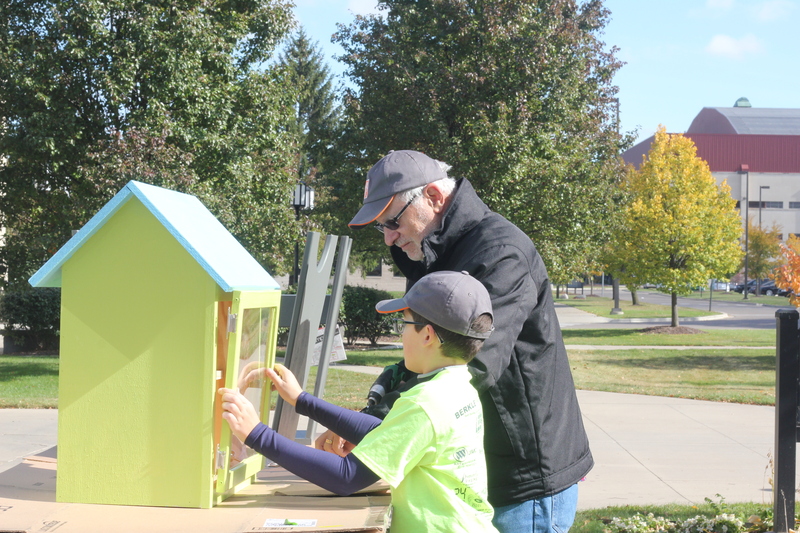 Our own RX for Reading Little Free Library on McNichols and Oak Street has already distributed over 500 children’s books to kids in our community. 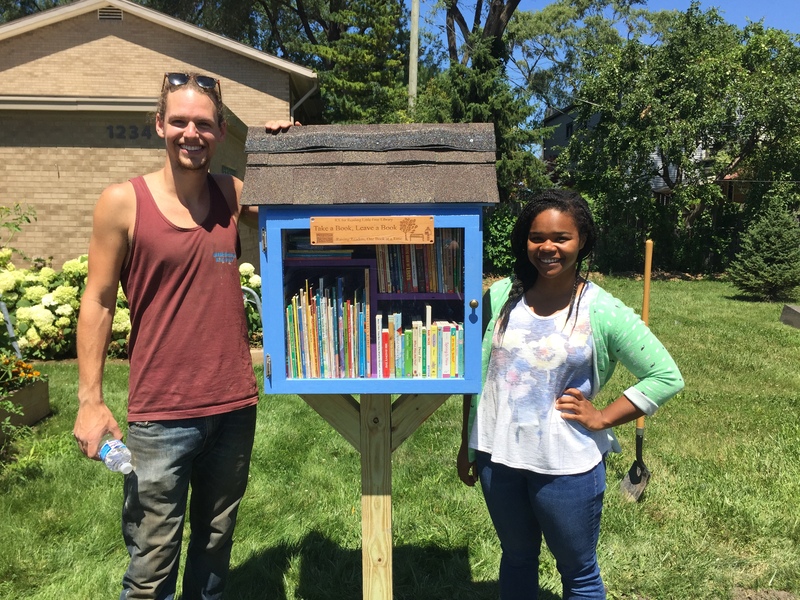 We were thrilled to share the love with another Little Free Library at the Detroit Loves You Guest Home in the Virginia Park neighborhood. Proprietor Nathan Andren picked up 300 books from RX for Reading to help keep this fabulous Little Free Library on Hazelwood Street stocked with great picks for children and teens. Thanks, Nathan, for helping bring books to the heart of the city! The newly stocked library at the Detroit Loves You Guest Home. Detroit Loves You Guest Home, Where Your Visit Helps Uplift and Transform Detroit. Established in 2010, DLY was the first of over 400 Airbnbs that are now operating in Detroit. Our mission is to facilitate guests’ meaningful experiences with Detroit and Detroiters, while their stays benefit the Virginia Park neighborhood and city at large. 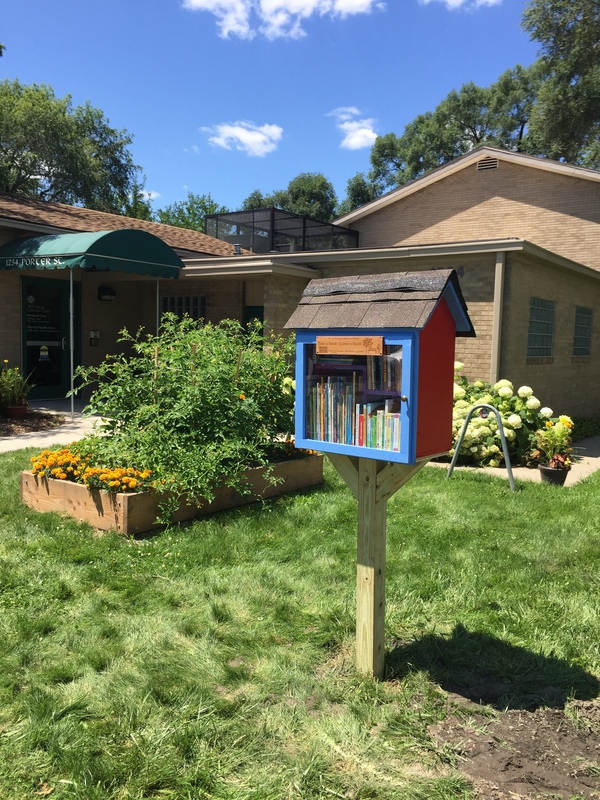 We do this by setting aside 10% of gross revenue for neighborhood organizations like the Hazelwood Block Club, external property improvements such as our community garden, and neighborhood and citywide initiatives like Detroit Little Free Library Capital of the World. RX for Reading Little Free Library in Gesu Community Green! 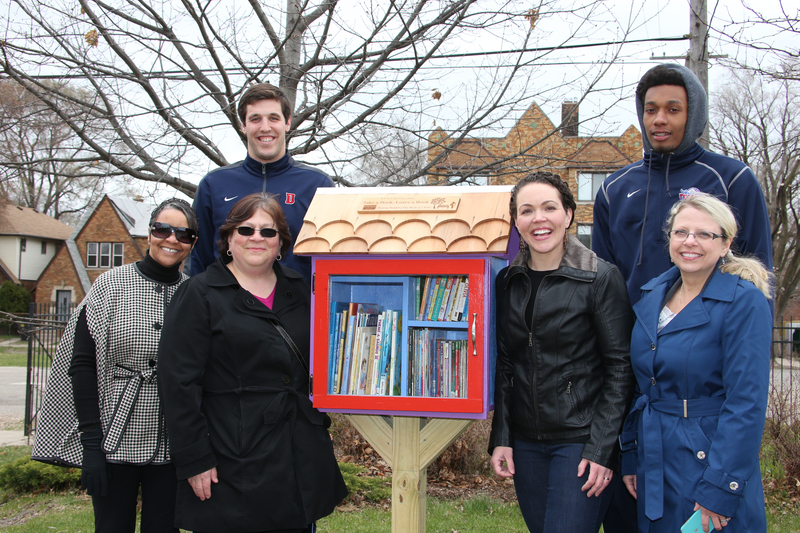 The newest addition to the University of Detroit Mercy neighborhood is the RX for Reading Little Free Library in the Gesu Community Green! 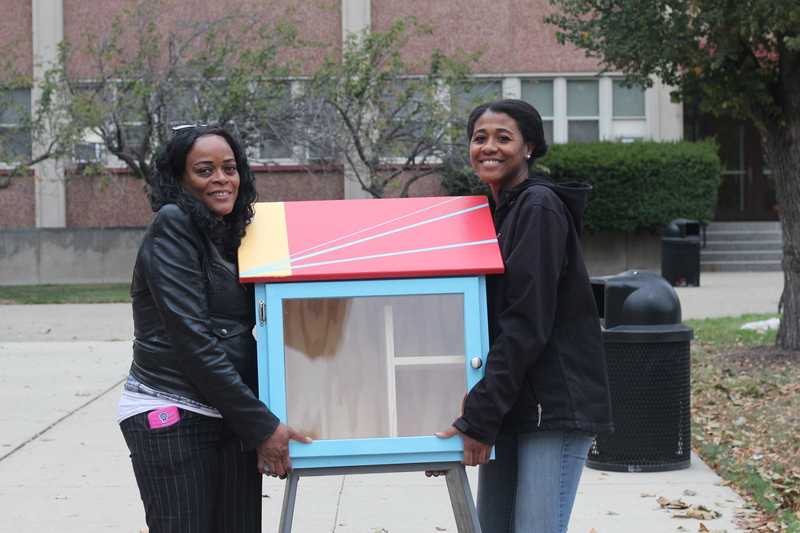 Little Free Libraries are community gathering spaces where neighbors can read, borrow, and share books with others in their community. 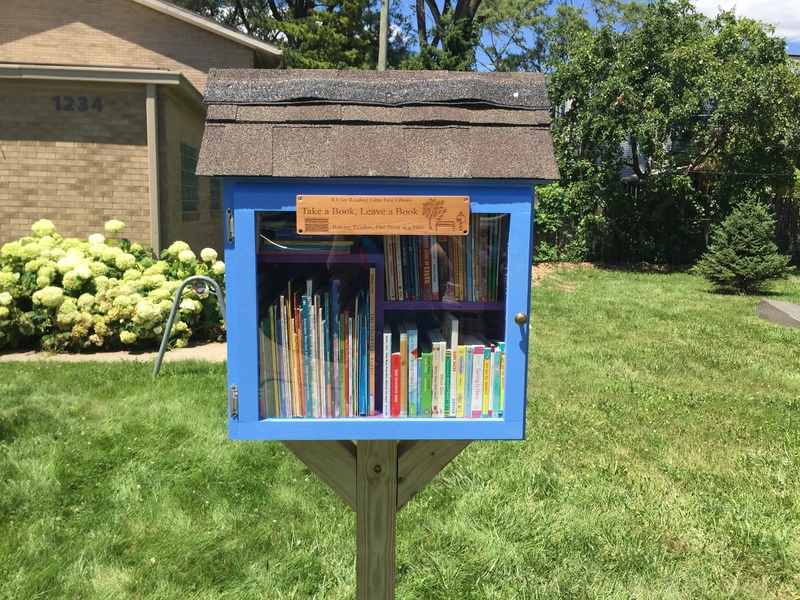 The Gesu Community Green, a neighborhood park at McNichols and Oak Drive on the west side of Detroit, is the perfect spot for our first RX for Reading Little Free Library. Special thanks to the University of Detroit Mercy Mission Micro Grant program for material support and Emilie and Terry Wetherington for building and installing the library. RX for Reading will keep the library stocked with children’s books for all kids in the community to enjoy. We had a great time at the “Bookies and Cookies” library launch party (you can see video of the “official” unveiling on YouTube). The celebration was made possible by UDM undergraduate volunteers Samantha Schurg, Sydney Rozycki, Robiane Banks, and Kristin Hnatio and volunteers from the UDM School Psychology graduate program led by Dr. Erin Henze: Fatimah Muhammad, Heather Bishop, Sandybel Quintana, Nikia Duncan, and Alicia Burditt. 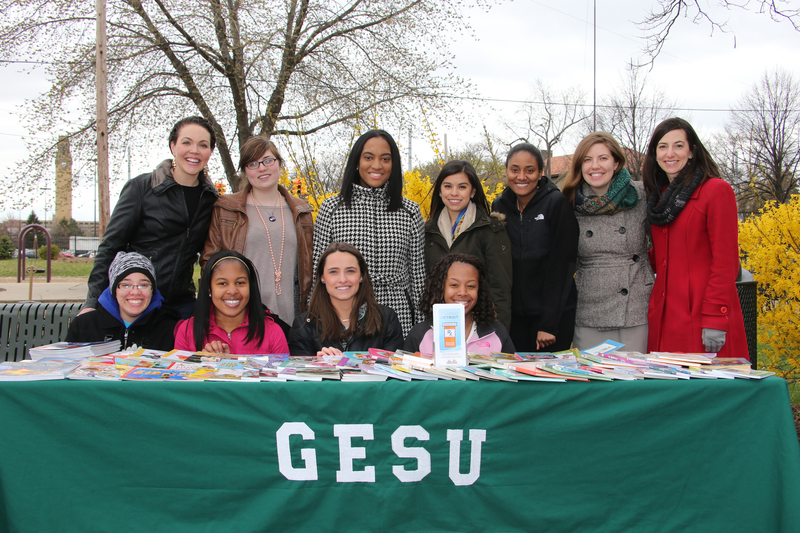 Thank you also to Gesu Volunteer Coordinator Anita Sevier, who helped make a home for the RX for Reading Little Free Library; to the UDM Titans who helped “plant” the library and celebrate its unveiling; to the kindergarten, 1st, and 2nd graders at Gesu School who welcomed the library to their neighborhood and promised to serve as “special library stewards”; and to all of the guests who helped make the library launch a huge success, including Margaret Auer, Dean of University Libraries at University of Detroit Mercy, Christa Laurin, Principal of Gesu School, and Fr. Nathan Wendt, Associate Pastor of Gesu Church. Principal Laurin leads the kids over! 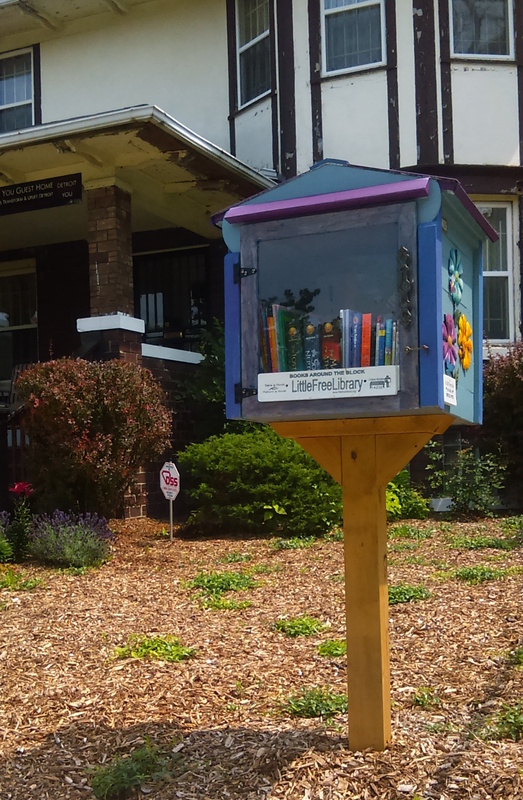 Come visit the RX for Reading Little Free Library, borrow a book, or bring some to share with neighbors! The idea behind RX for Reading Detroit is simple. Literacy is a human right. Every child should be surrounded by books. 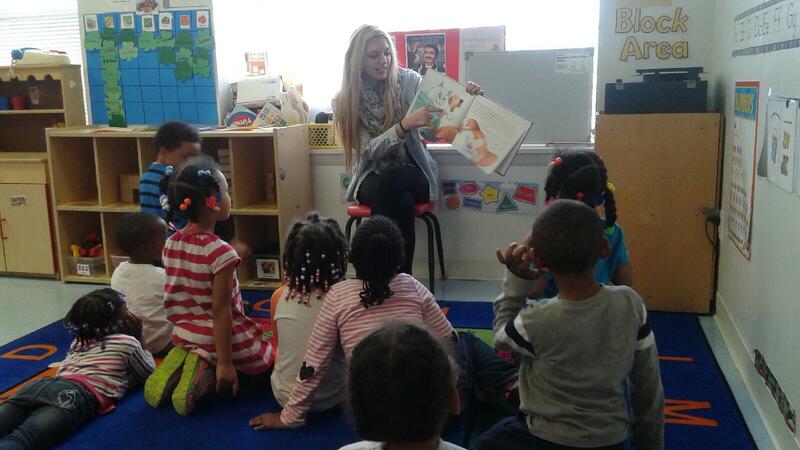 UDM student Alyssa Burgess reads with the kids at Emmanuel. 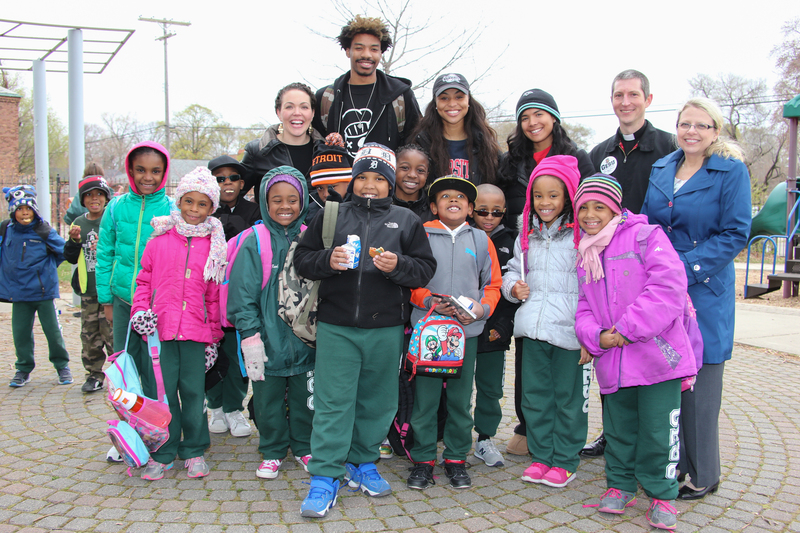 Over the 2014-2015 academic year, RX for Reading distributed 7,546 new and gently used books to kids and community partners in Detroit. We raised $6,500 to purchase new books in English and Spanish. 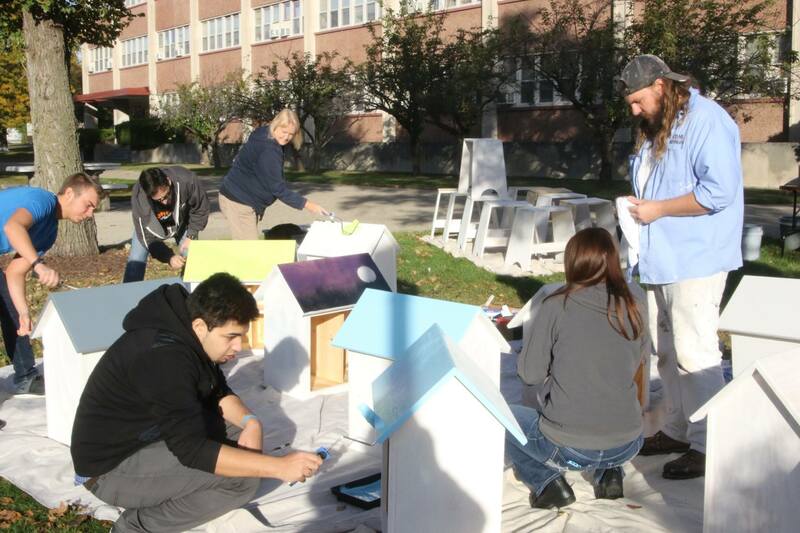 We built 12 RX for Reading Libraries in low-income health and dental clinics, 4 classroom libraries for local Head Start programs, and our first RX for Reading Little Free Library in Gesu Community Green. We partnered with 6 Head Start and elementary classrooms for shared reading between college students and younger students, and over 50 UDM undergraduate and graduate students were involved in growing the organization—running book drives, sorting and cleaning books, setting up libraries, and reading with kids in our community. We are grateful for the incredible work of our community partners, for the generosity of our donors, and most of all, for each and every child in our community. Together, we are raising readers, one book at a time.